Frame rests. These fit my hives with hinged roofs and hold up to 4 top bars. These give you a super sturdy place to hold your top bars and are great to take pictures or do up close inspections. 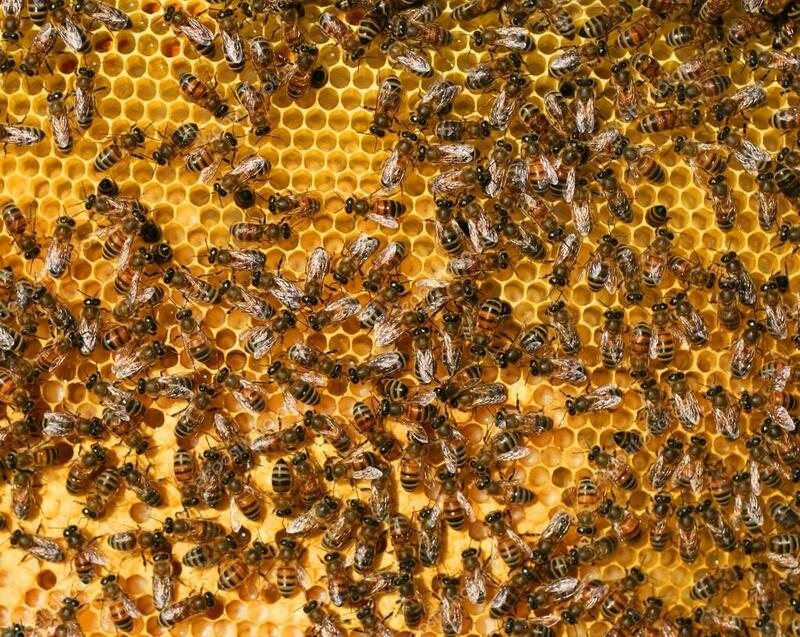 And most importantly if you happen to have a queen on a bar and she falls off, she will fall right on top of your hive. 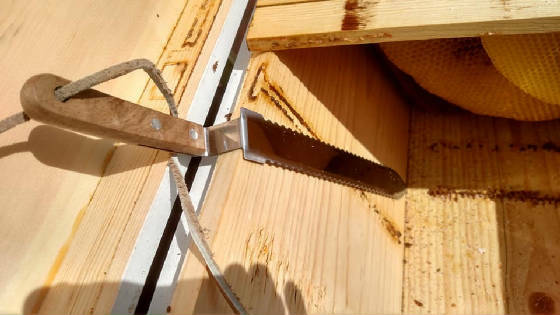 These handy hive tools work well with top bar hives and are new this year. 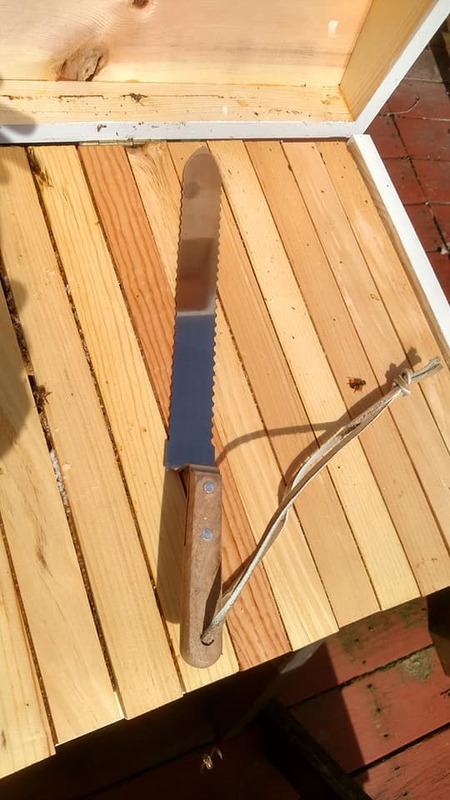 This stainless steel tool is built at a offset angle so it will slide flat down the side of the hive and the thin serrated blade easily slices through any areas of attached comb without tearing and causing comb collapse. After cutting loose attached comb, pry the tool sideways to compress the comb away from the side wall and that will help them not to reattach it. You can also use the knife to uncap and trim comb. Hive tools are 17.00 free s/h!